You compete individually trying to solve as many problems as possible within four hours. Your solutions are programs written in C/C++, Java, Python, C# and Go that you send in for automatic testing. The test server runs your program on a set of inputs, that are secret to you, and accepts your program if it produces the expected output within the allotted time. The problems test your programming skills and your ability to solve algorithmic problems. All material from the contest is licensed under Creative Commons Attribution-Share Alike 2.5 Sweden License. 09.00 Introduction in E1 (Osquars backe 2). 10.00 Competition starts. We offer food and soft drinks. 14.15 Presentation and award ceremony in E1. Registration ended on Friday, June 10, 02:00 pm. 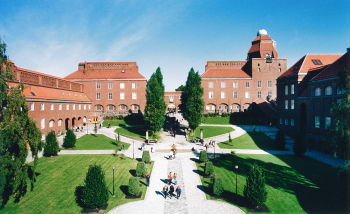 Email prog-contest@csc.kth.se to inquiry about late registrations. You may register for the online contest at any time. Contact us at prog-contest@csc.kth.se if you have any questions.